You know when you look at a word for too long, and it suddenly stops making any sense? I’ve totally done that with the word ‘paella’. It’s obviously not an English word in the first place so I think I should let myself off, but for a while there I was genuinely concerned that I’d invented the word myself. Paella. 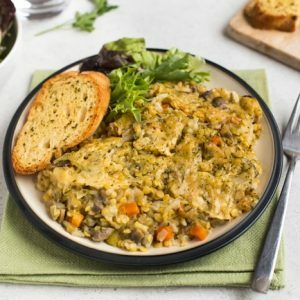 Vegetarian paella. Vegan paella. Pie-ell-aaaa. It means nothing to me any more. Anyway, when James Villas challenged me to recreate one of my favourite holiday recipes as part of their My Holiday Dish series, my mind went straight for paella. I’ve been to Spain a few times, and it’s one of my favourite countries (it’s hard to argue with all that sunshine) – but I’ve had mixed luck eating paella in Spain. 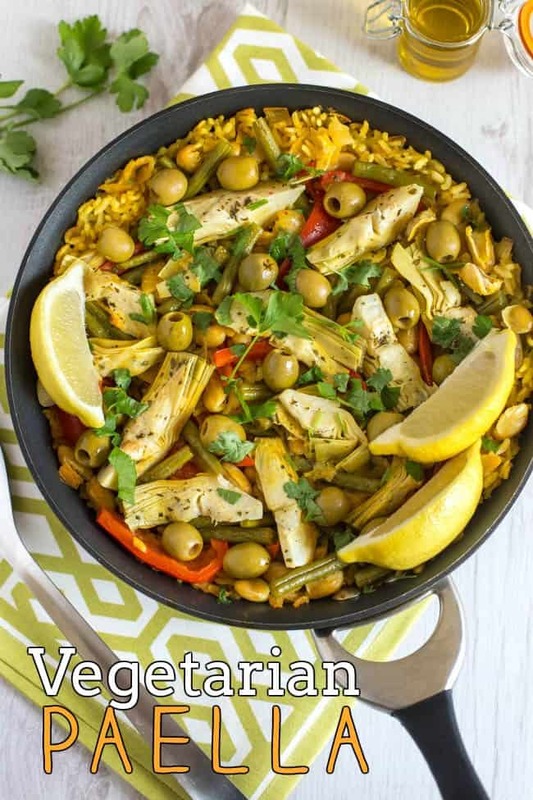 Some places are really vegetarian-friendly, offering the most amazing vegetarian paella you can imagine, piled high with veggies, beans, fresh herbs, drizzled with olive oil – a vegetarian’s heaven. Other places… not so much. I can think of one time in particular where I had to plump for a very non-Spanish margherita pizza while the rest of my family tucked into paella, because there wasn’t a vegetarian version on the menu. It’s rare that pizza is ever accompanied by disappointment, but on this occasion it definitely was. So rather than having to search all across Spain for a suitable paella (not to mention spending 2 or 3 hours on a plane, snore), I thought I’d just make my own instead. And not to blow my own trumpet or anything (except I totally am), but it was almost as delicious as any paella I’ve ever had in Spain. 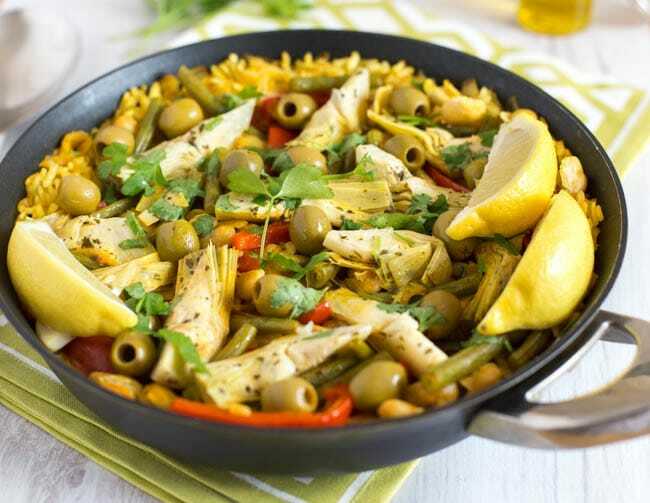 For me, the stars of this vegetarian paella are the marinated artichokes and olives – both give so much flavour! Finish everything off with a squeeze of lemon and some fresh parsley, and you’ve got a comforting, but still fresh and summery, dinner. By the way, don’t be tempted to stir your paella while it’s cooking – we’re not making risotto here. Just keep the heat low, cover the pan, and let the rice slowly absorb that rich and flavourful spiced stock. Hopefully, you’ll get some nice crispy bits around the bottom – so go and be lazy, and let your dinner cook itself. 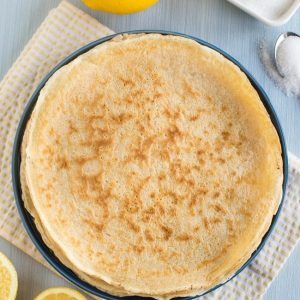 What’s your ultimate holiday recipe – the thing you always look forward to eating when you go abroad? Let me know if there’s anything else you’d like me to attempt! And you can check out more holiday recipes on the James Villas website – including these simple pepper and goat’s cheese tarts, which look like the sort of thing I’d happily eat seven of – or using the hashtag #MyHolidayDish. Heat the oil in a frying pan, and add the onion and pepper. Cook over a medium heat for a couple of minutes, until slightly soft. Add the garlic and green beans, and cook for 2 more minutes. Next add the cannellini beans, smoked paprika and turmeric, and mix to coat. Turn the heat down to low. Pour in the rice, vegetable stock, and plenty of black pepper. Mix carefully once to make sure everything is evenly distributed, then stop stirring. 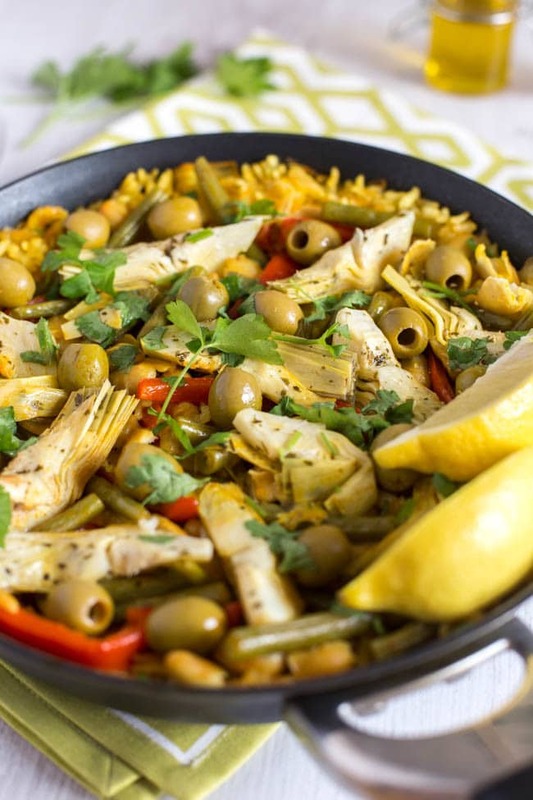 Arrange the artichoke hearts and olives on top of the paella, and cover with a lid. Leave to cook over a low heat for around 25-30 minutes, or until the rice is fully cooked. Serve topped with a drizzle of extra virgin olive oil, a squeeze of lemon juice, and some fresh parsley. I adore paella – I felt so sad for you sitting with your pizza whilst everyone else had paella in Spain!! 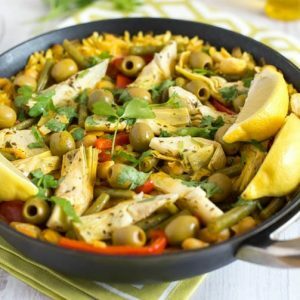 This dish looks incredible, I adore olives and artichokes! Bookmarked! Haha yes I was a bit sad about that – only time I’ve ever been sad about pizza! Ah I love this Becca, I really enjoy artichokes. 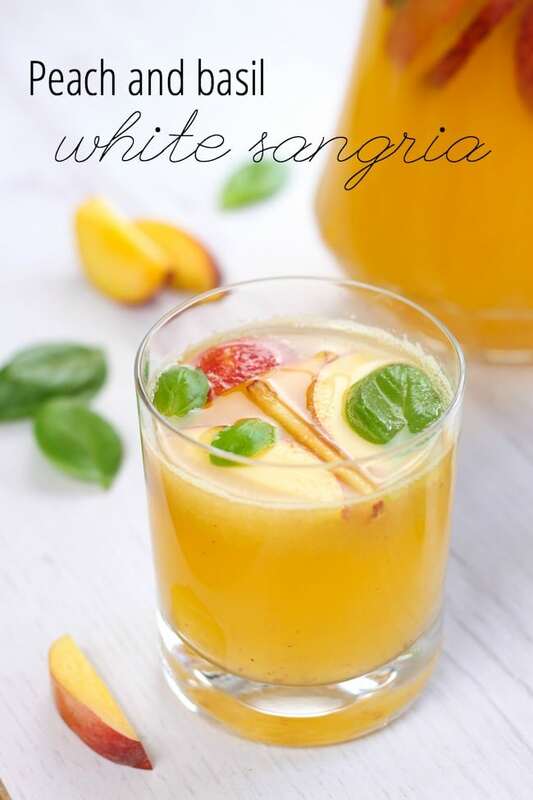 I am also really wanting some of that peach sangria. I drooled a little when I saw it. My tummy is crying out for this! But I am also starting to wonder if this is a candidate for a bit of slow cooker experimentation??? Am I wrong? I love using my slow cooker in this heat as it doesn’t make the kitchen thermonuclear, and I can just set it & forget it! Ooh that’s a good idea! 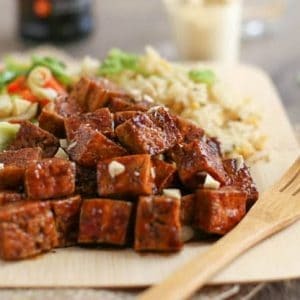 Rice really doesn’t take long in the slow cooker, so you’d need to keep an eye on it otherwise it can go a bit mushy – but it’s definitely worth a try! Looks good! You know it’s not pronounced pie-AY-ah though, right? 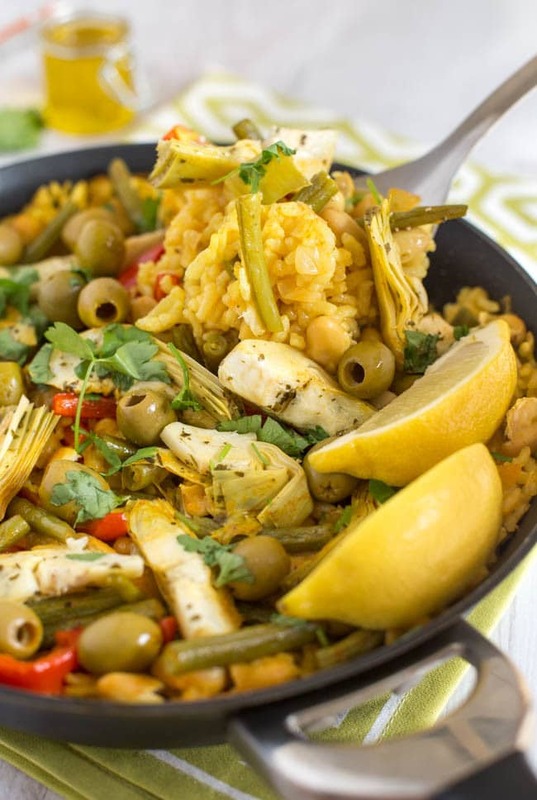 So many of our favourite ingredients in your Vegetarian paella, artichokes, olives and green beans, a great selection. This looks amazing! 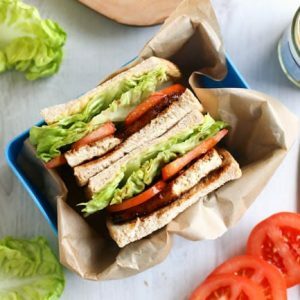 What is in it that doesn’t make it vegan? 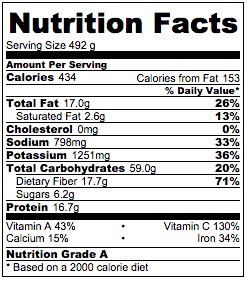 I can’t seem to spot anything in the ingredients. It is vegan! :) What made you think it wasn’t? 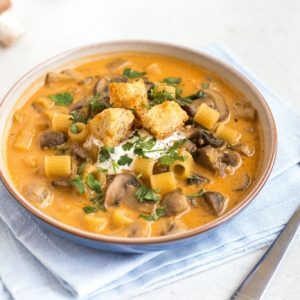 That looks so hearty and delicious! I love how you have packed it out with artichokes. Love the colours of this dish :) Paella is a favourite of mine! What a clever little make – love a good paella. Oh I would really like this. I haven’t had any sort of paella in ages. I’d love all of these veggies! Though I might not be able to have the vegetarian paella but at least I can have the sangria lol. The paella looks delicious. Not a fan of rice? 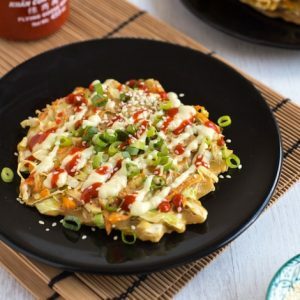 I’m going to make this in the next few days – last week we did our first almost traditional paella (I put tiny shimp, imitation crab and meat and meatless (Quorn) chicken on the side so my veggie daughter and her fiance could eat along with the meat eaters) and I only got a yawn over it. Yours looks infinitely better. Not sure about the artichokes, though. Do you have an idea for a sub? Maybe Jerusalem artichokes if I can find them?? Thanks! I’ve actually never had Jerusalem artichokes (!!) so I’m not sure whether that would work, you’re probably more qualified to say :) But you can definitely skip the artichokes if you’re not a fan. Any kind of antipasti would be a great replacement – roasted red peppers, sun-dried tomatoes, etc. You can also get lovely jars of antipasti-style marinated mushrooms, courgettes, etc. which would be nice too! Wow! I see this on the menu for this weekend! How would it work with a brown rice? I’ve not tried this recipe with brown rice so I can’t say for sure. I think it would work, but I do think white rice would be better for this – I do love brown rice, but it tends to be a bit harder, so perhaps not ideal for a paella? I say everything’s worth trying once though! Oh we have just returned from a lovely food-filled holiday in Spain and nothing says Spain like a tradition Paella! (of which we enjoyed many). I love your Veggie twist on it. Olives generally make me unhappy but this does look gorgeous! Oh girl, yum. This looks very appetising. I’m not a fan of olives but even in this, they look delicious. 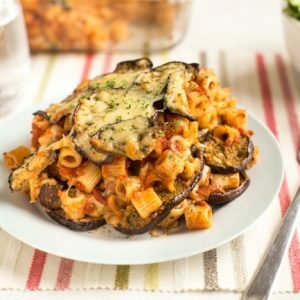 Lovely recipe, need to try making it one weekend!